As the 500-day mark to MDG completion approaches, Special Envoy Ray Chambers acknowledges the historic achievement of 100 million long-lasting insecticidal nets delivered to sub-Saharan Africa in the first half of 2014, providing protection for nearly 200 million people for the three year duration of the nets' effectiveness. The UN Secretary General’s Special Envoy for Financing the Health MDGs and for Malaria, Ray Chambers, acknowledged the historic delivery of over 100 million Long Lasting Insecticidal Nets in the first half of 2014, almost all of them to sub-Saharan Africa. This equals the highest number of nets ever delivered, as reported by the Alliance for Malaria Prevention’s “Net Mapping Project.” While saving 600,000 children’s lives over three years, these nets are expected to reduce 2015 malaria mortality by 116.000 deaths, bringing us closer to our goal of reaching near-zero malaria deaths. 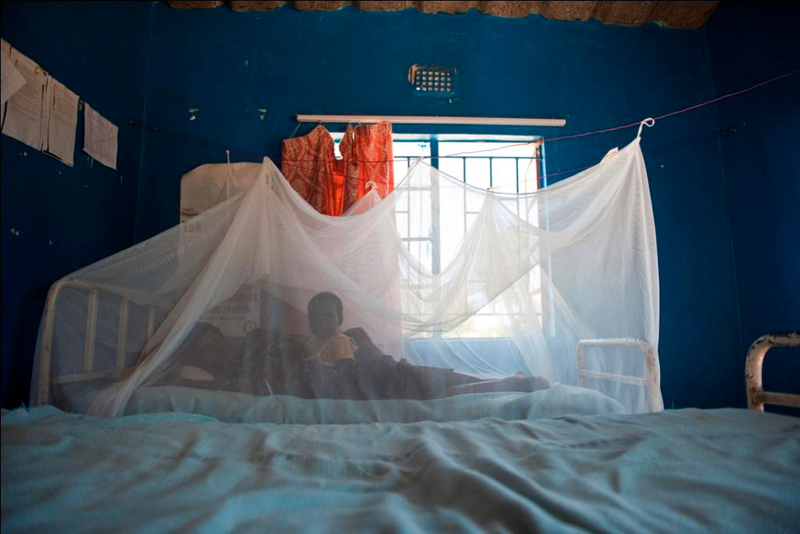 Over the past three years more than 350 million nets have been delivered to protect those at risk from malaria in sub-Saharan Africa. “A decade ago nearly one million people died annually from malaria, and our target is to bring malaria deaths to fewer than 100,000 by 2015. Lives are being saved at an extraordinary rate and nets are our most important tool. With the impact of these new nets we will be on track to reach our malaria goals to lower malaria deaths to near zero by 2015. Saving lives from malaria depends on access to protective nets, indoor spraying, diagnostic testing and treatment, and with this unprecedented delivery of lifesaving nets, we stand to make our greatest strides yet in the race against malaria. Today we applaud the efforts of so many countries and their partners that have kept this pipeline of commodities strong. This tremendous progress is the result of an unprecedented collaboration between malaria-endemic countries, funding and technical partners, and net manufacturers, a partnership that is now working to ensure previously funded nets will be replaced and that children do not lose their protection from malaria. A significant number of the nets were financed and procured by the Global Fund to Fight AIDS, TB, and Malaria, which, together with the United States’ President’s Malaria Initiative, disbursed a record amount of funding in 2013 to help make this possible.